China is readying to host the Shanghai Cooperation Organization (SCO) summit to take place on June 9-10 in Qingdao, China. Ahead of the summit, environmental protection authorities in Shandong and Jiangsu decided to undertake inspections from May 30 to June 11 in order to improve air quality and regulate pollution, which has resulted in tight PET availability amid limited run rates or plant shutdowns. Several Asian PET players have reported that measures taken for the SCO summit have eased the impacts of the recent softening in the energy complex as well as the upstream markets, which hampered a six-week of PET rally across regional markets in the latter part of May. 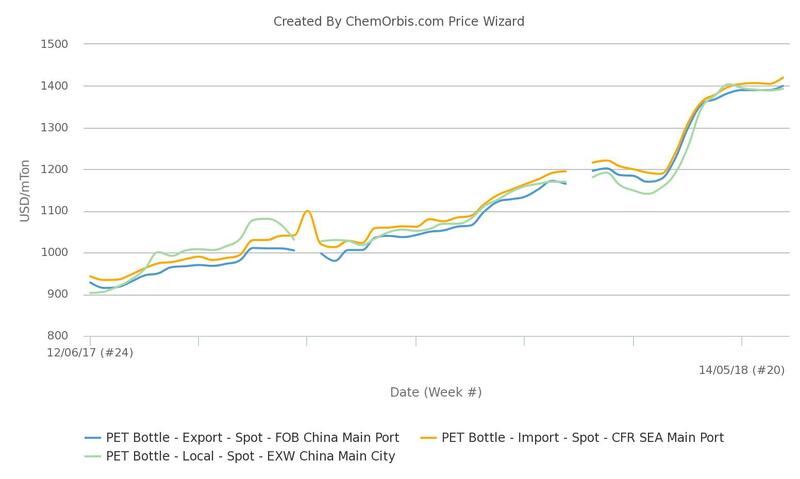 PET prices in China and Southeast Asia have partially resumed their firming trend this week mainly with support from reduced availability amidst environmental inspections. 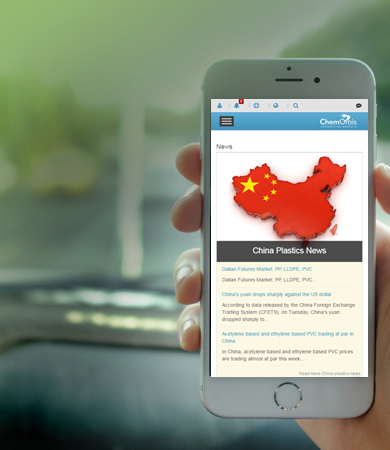 A source from another Chinese producer confirmed that their plant at Changzhou is influenced from environmental inspections and added that they are running their plant at 50% capacity. In Vietnam, a trader reported that their offers for Chinese PET were adjusted up by $5-10/ton this week. Higher prices emerged due to diminished supplies in the midst of environmental inspections despite softer crude oil and spot MEG.